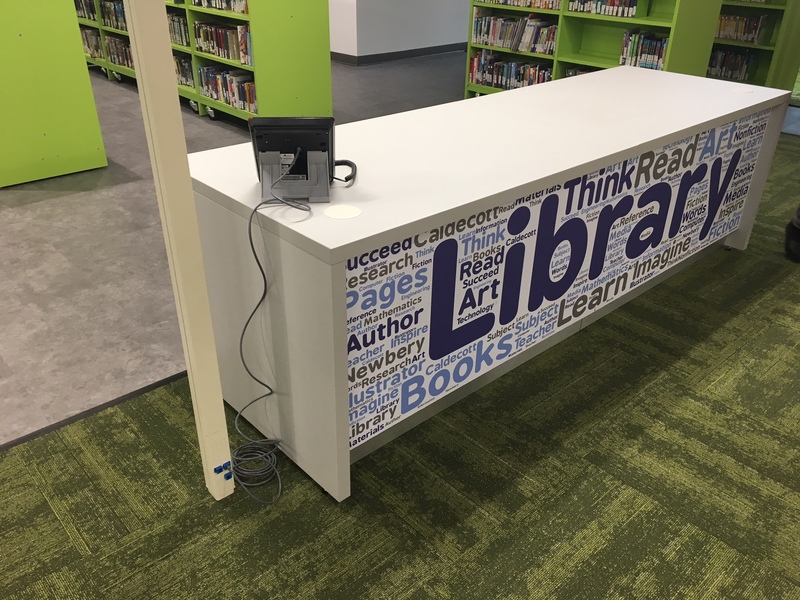 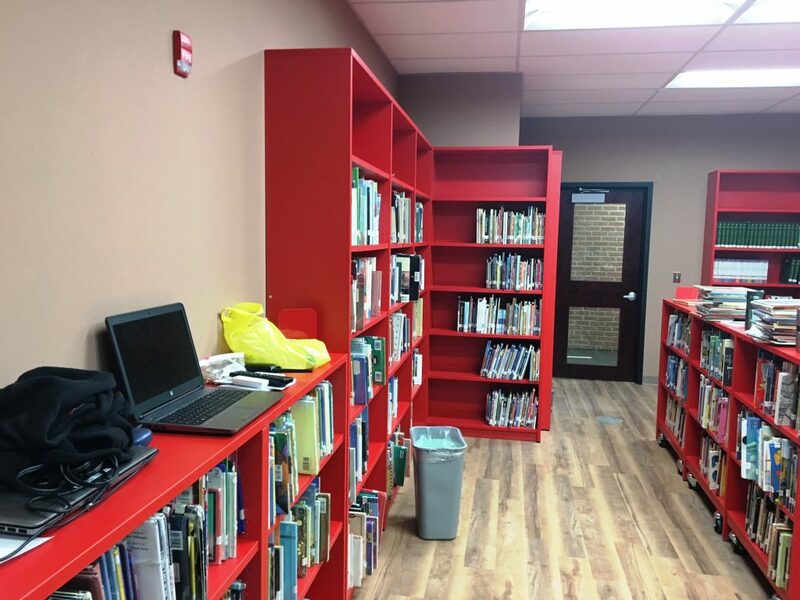 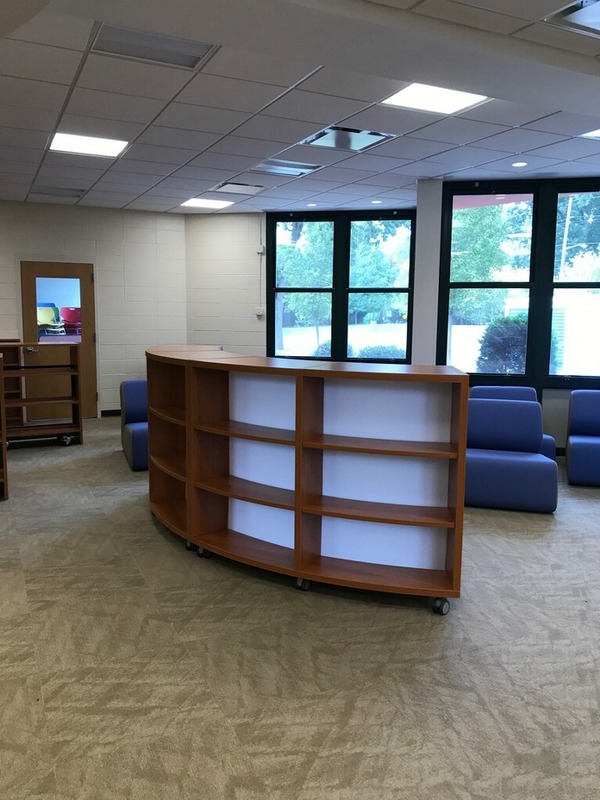 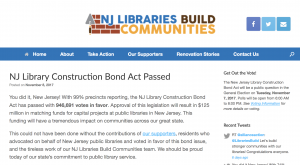 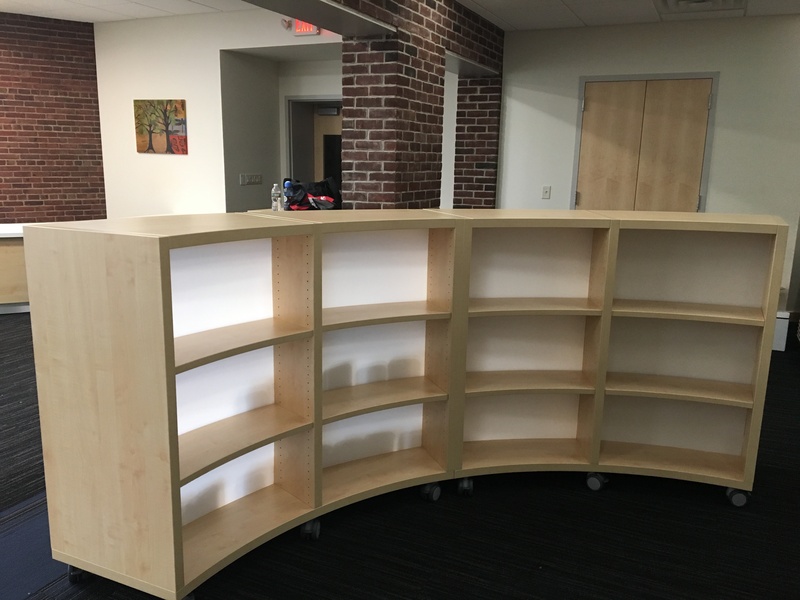 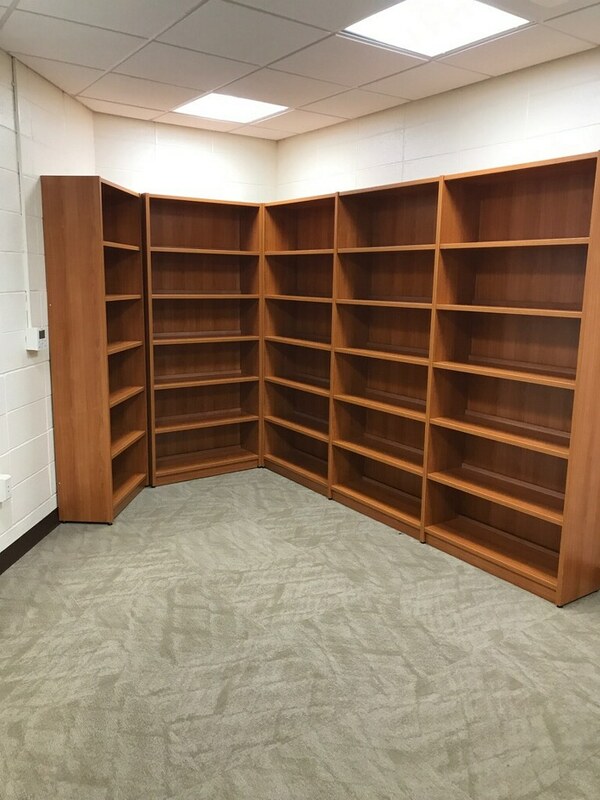 As a follow-up to our June 26, 2017 post, the Woodside Elementary School library renovation project located in River Vale, NJ, has been completed. 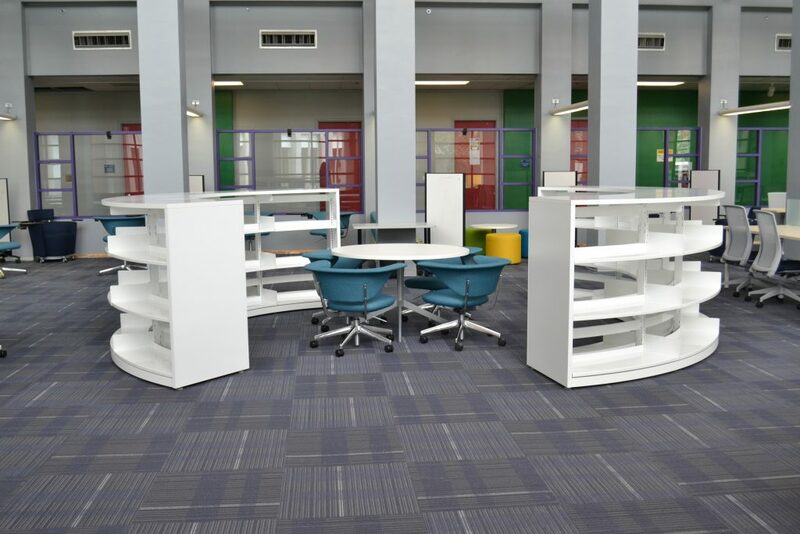 The school district utilized the Educational Services Commission of NJ (ESCNJ) to secure the furnishings saving time and money in the process. 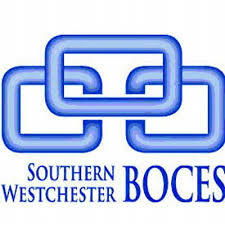 Vendors and their products are pre-screened for quality and competitive pricing through this cooperative. 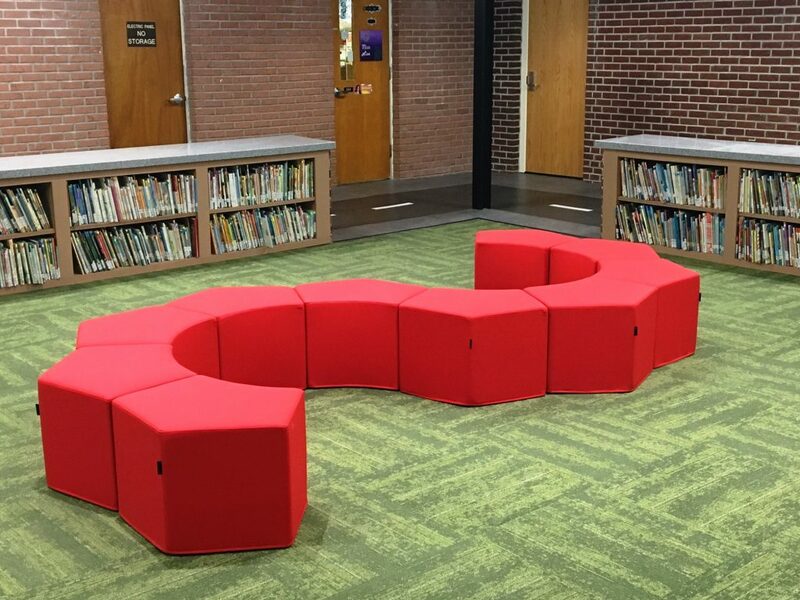 Installation Photos From a NJ Elementary School Library Renovation Are Here! ? 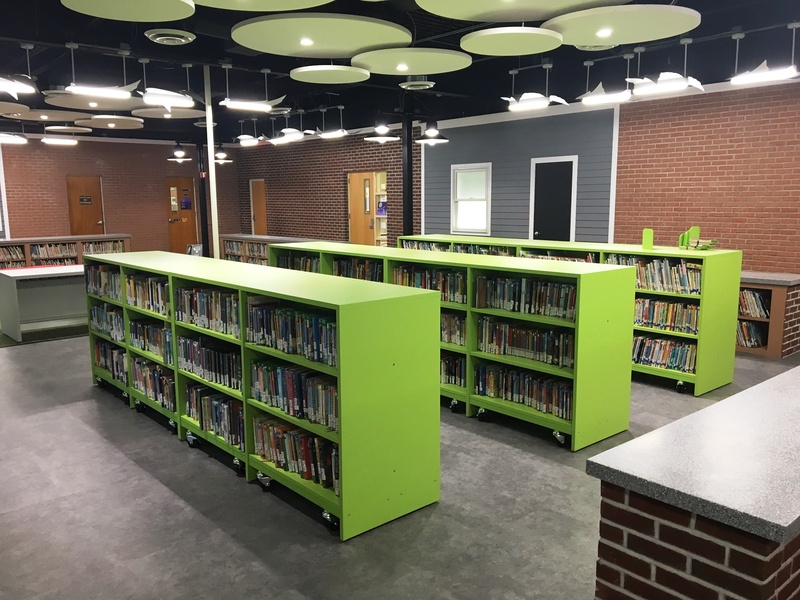 Below are completed installation photos from our original posting on October 9, 2017 of the Mount Olive School District’s Mountain View Elementary School library renovation project. 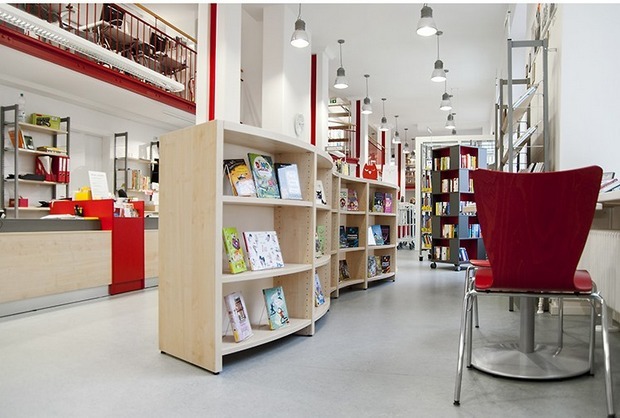 The choice of shelving in bright reds and greens help to brighten up the space and provide a more playful environment for the students. 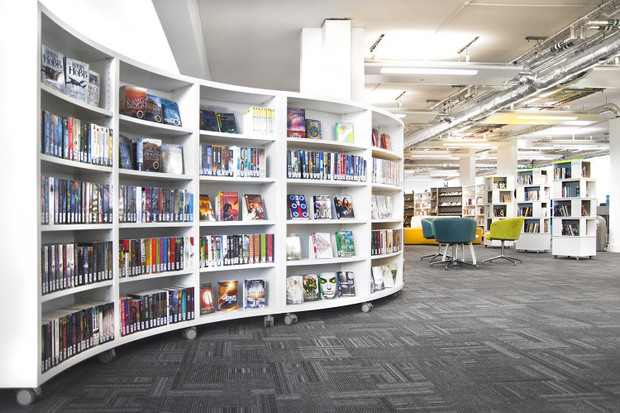 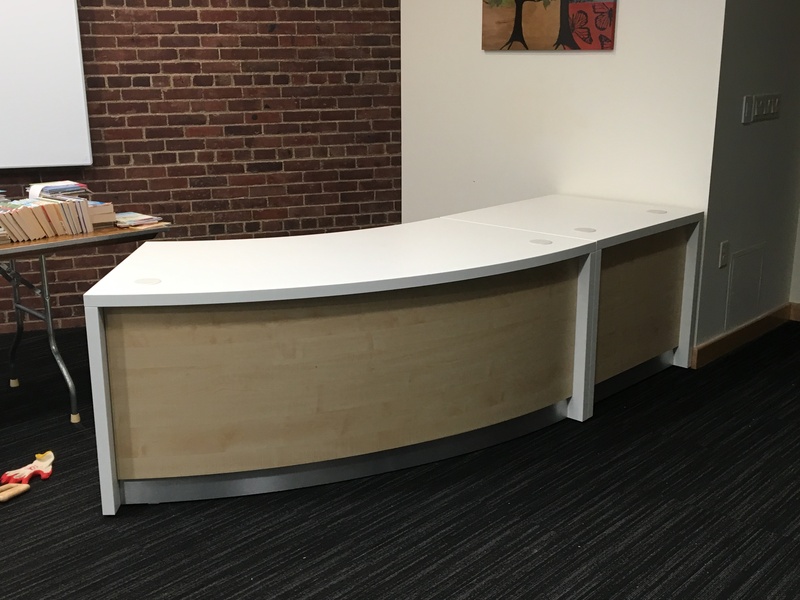 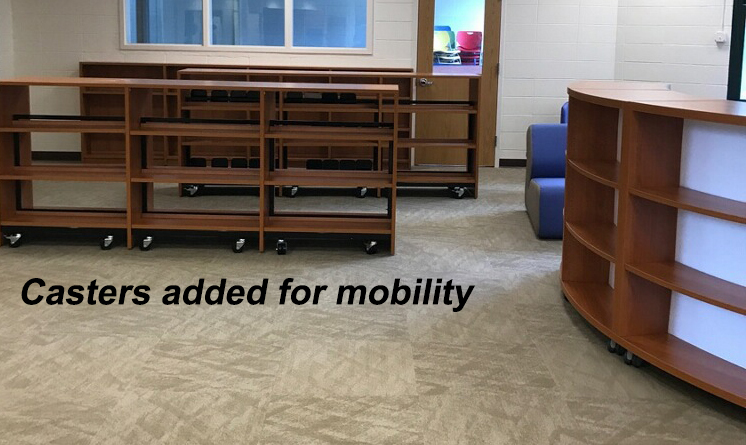 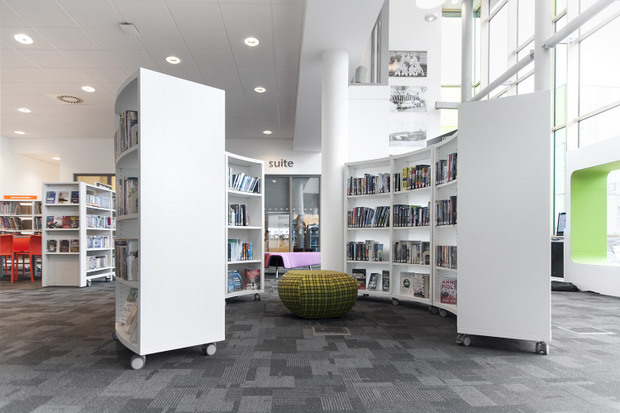 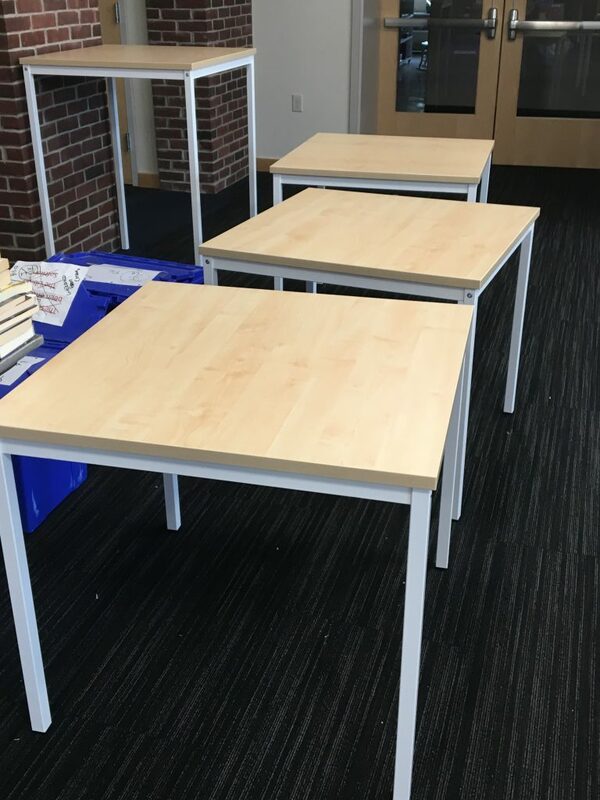 For more information on BCI Library Furniture, please contact us today — we have an extensive selection of library furnishings to enhance your renovation project. 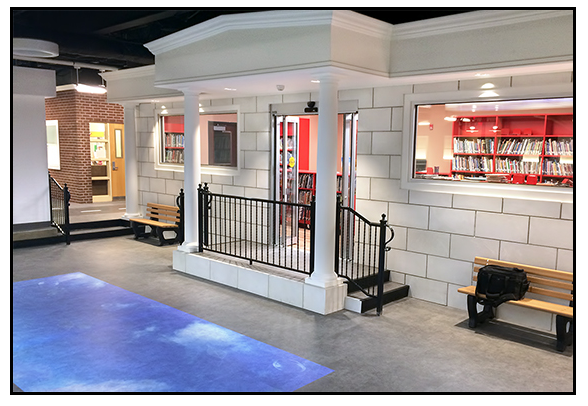 The Mountain View Elementary School is part of the Mount Olive School District, located in Flanders, NJ. 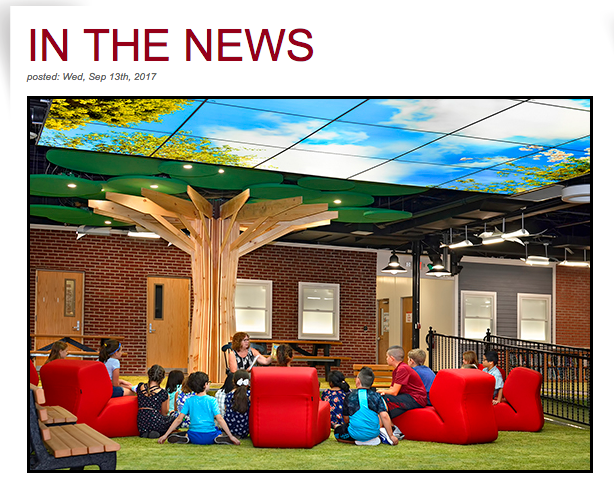 With approximately 500 students, the school houses grades K-5. 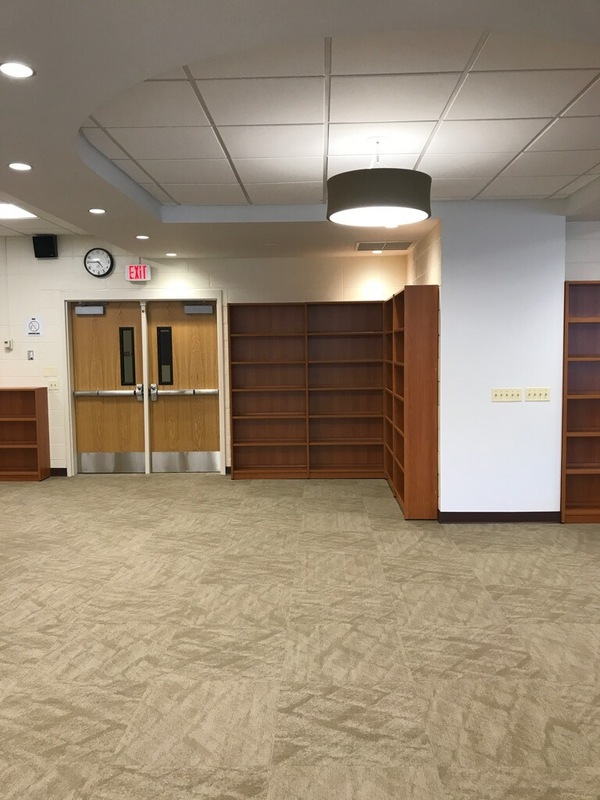 A library renovation was needed and on September 19, 2017 during Back to School Night, the newly restored library formally opened. 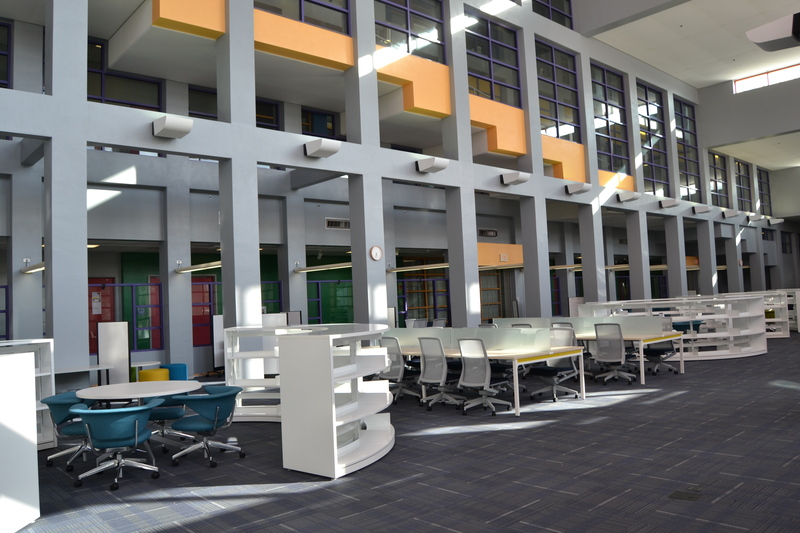 The new library was designed around the theme of an “Urban Park”, complete with a ‘wooden tree of knowledge’, park benches, picnic tables, and more. 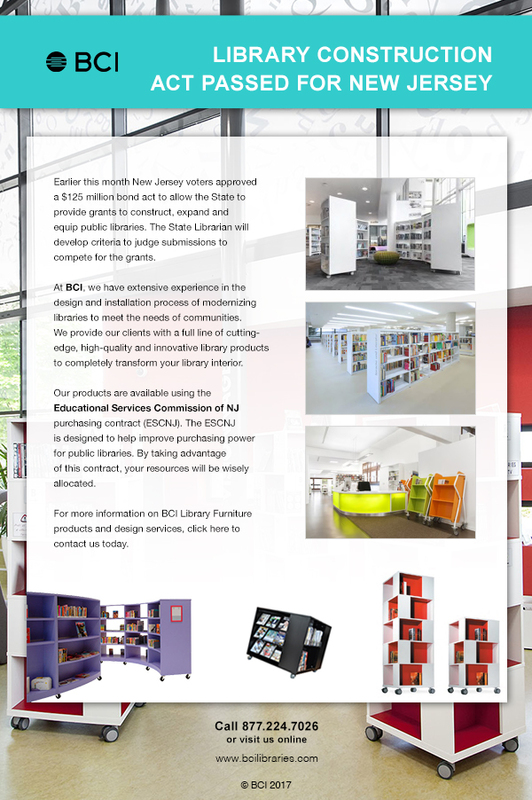 The furniture was purchased using the Educational Services Commission of NJ (ESCNJ). The ESCNJ is designed to help schools make purchases without having to research the quality and pricing. 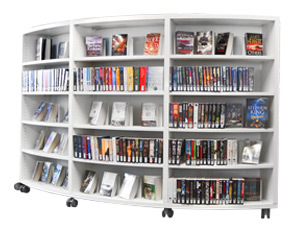 By taking advantage of these purchasing contracts, a great deal of time and money is saved. 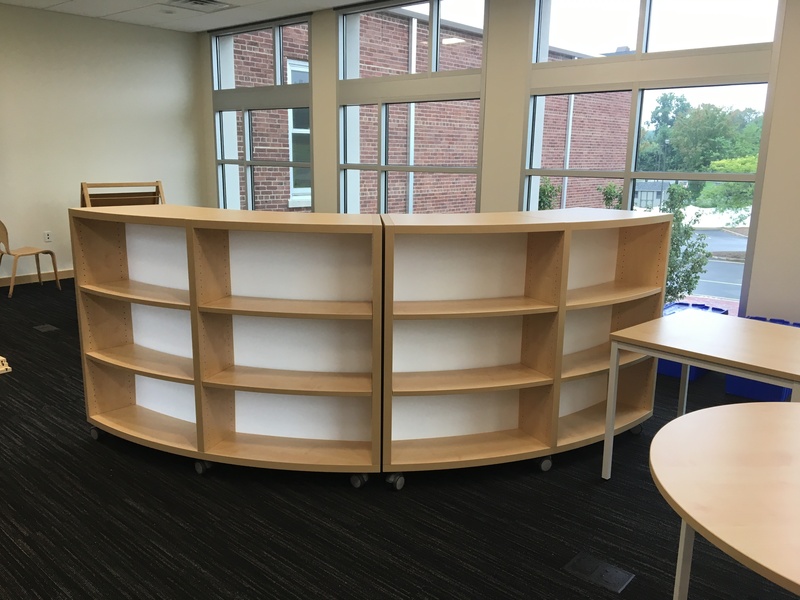 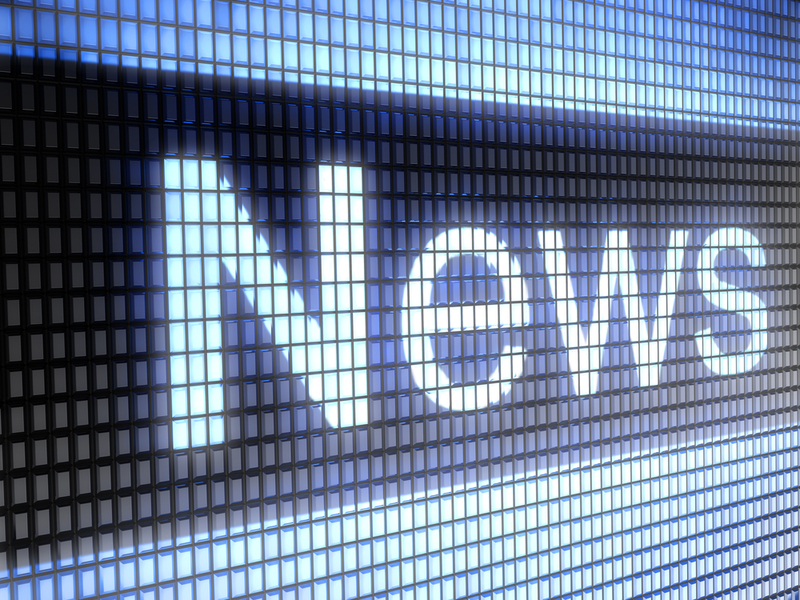 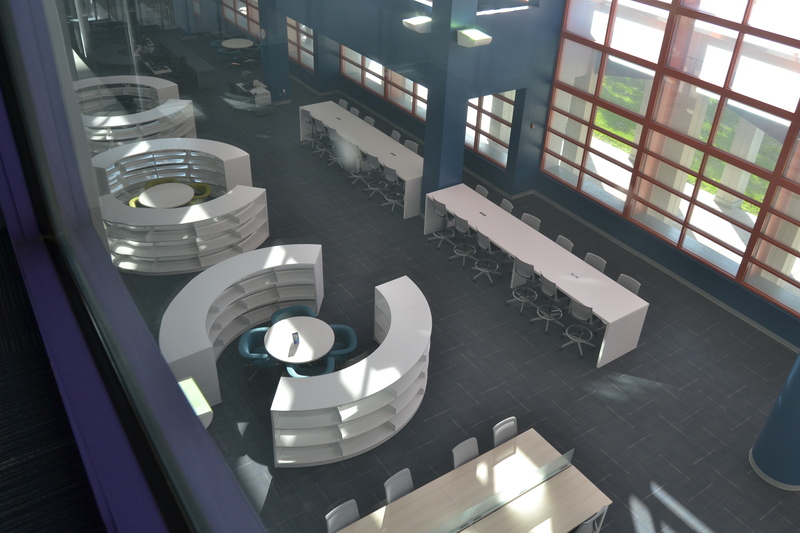 Click here to view Mountain View News “In the News” article featuring the new library. 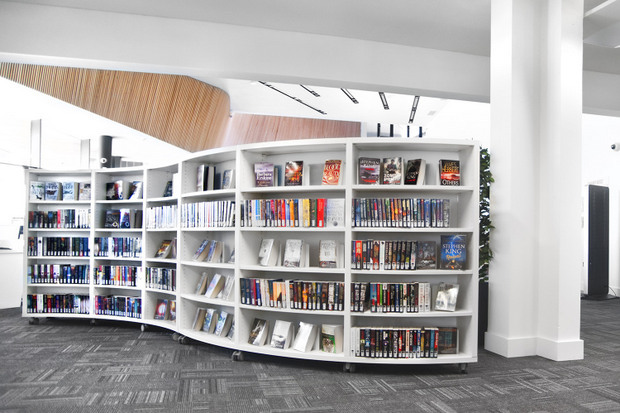 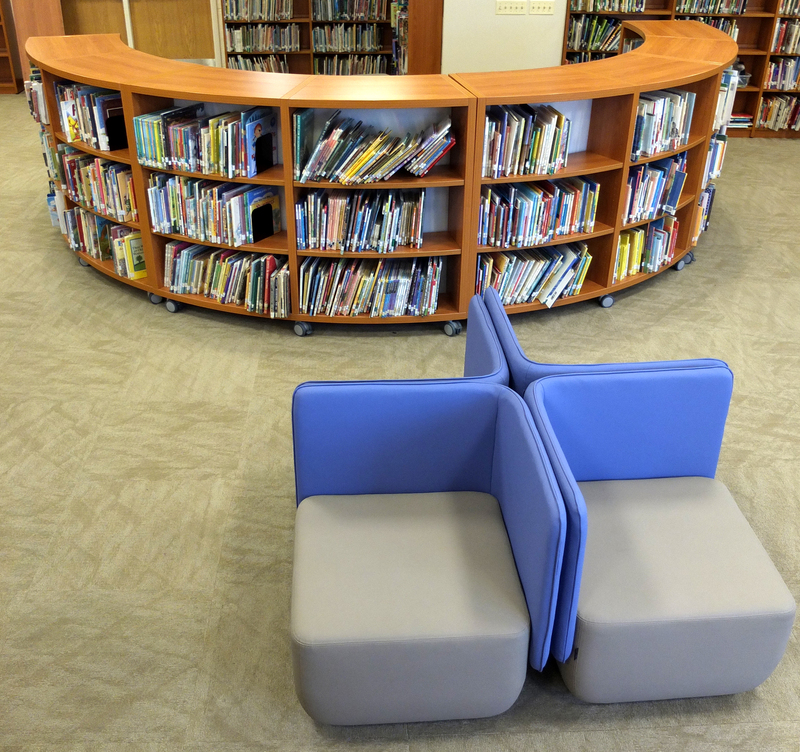 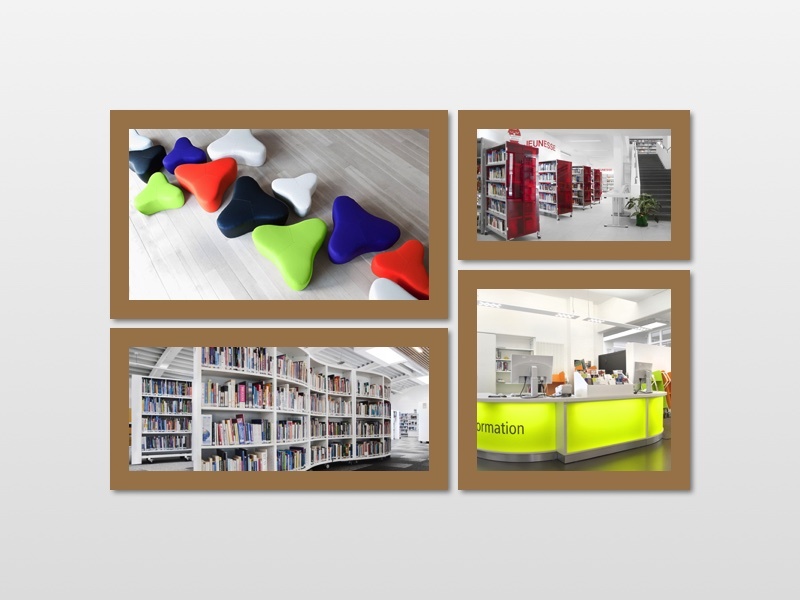 For more information, contact us today — let BCI Modern Library Furniture enhance your project!